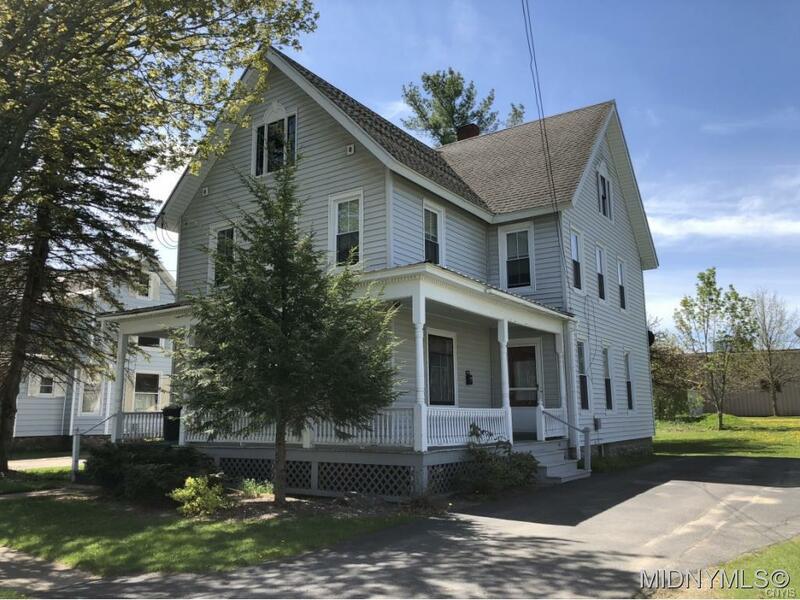 303 Charles St. Boonville, NY. | MLS# 1801813 | Benn Realty LLC -Since 1968, and now with offices in Old Forge and Remsen to serve you better. This beautifully maintained home is currently being used as a 2 family with excellent rental history. Hardwood floors, high ceilings, new bathrooms, updated kitchens, gorgeous staircase, two stall garage, updated electric, newer windows, blown in insulation, paved driveway, back deck overlooking a large manicured lawn, and many more extras! If you are looking for an income property, this is the one! Walk up attic w/ two heated bedrooms and another large room for storage. Full basement too!